Lake Como is a small, relatively shallow lake in the Town of Summerhill, located in the Oswego-Seneca-Oneida River Basin, south of the Seneca River. 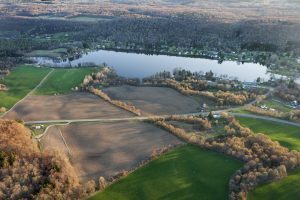 It is an upland lake, formed in the upper portions of the Cayuga Lake Fall Creek sub-Watershed. It is part of an extensive wetland system. Two unnamed tributaries (rivers or streams flowing into a larger river or lake) enter Lake Como in the north and the water flows from the lake via the Lake Como Outlet in the south. The Lake Como State of the Lake and Watershed Management Plan was developed in 2007. Lake Como Association: contact Pjmooney47@yahoo.com for more information.